The Room of Flight consists of one room that's just a big maze, and a big open field sprawling three fourths of the screen. 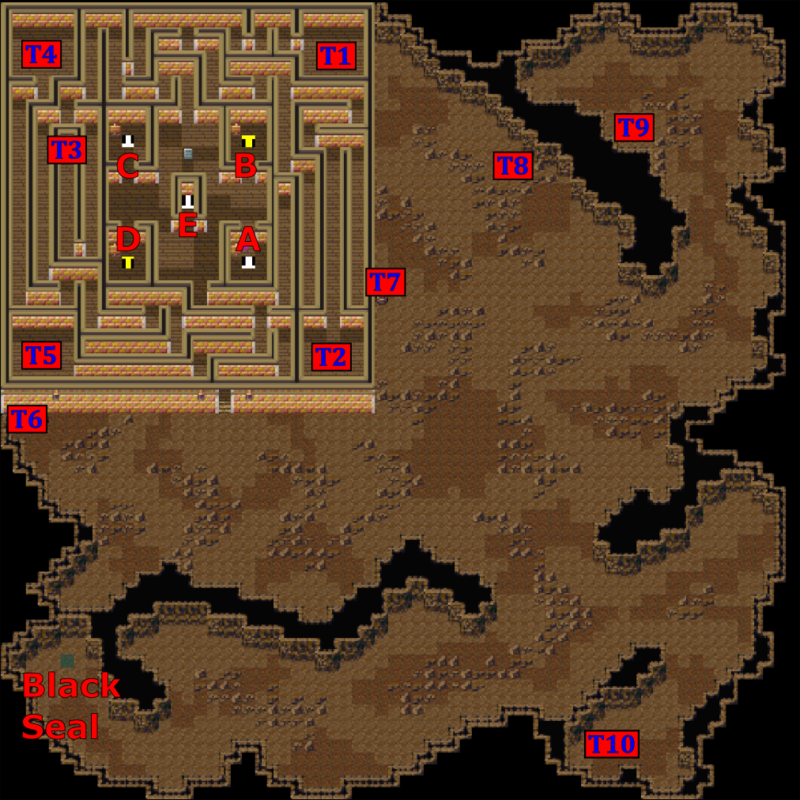 There are four sets of stairs near the entrance, and each of them leads to another dungeon; however, when you first enter the room, each of these stairs is blocked by a seal that must be broken. To break the first seal, you need to travel to the bottom southwest corner of the room (but first, you might as well gather all the treasure here). Note: You can leave the Room of Flight at any time, and since there's a free Inn in the Forgotten Village, you may as well take advantage of that in between the other dungeons here.